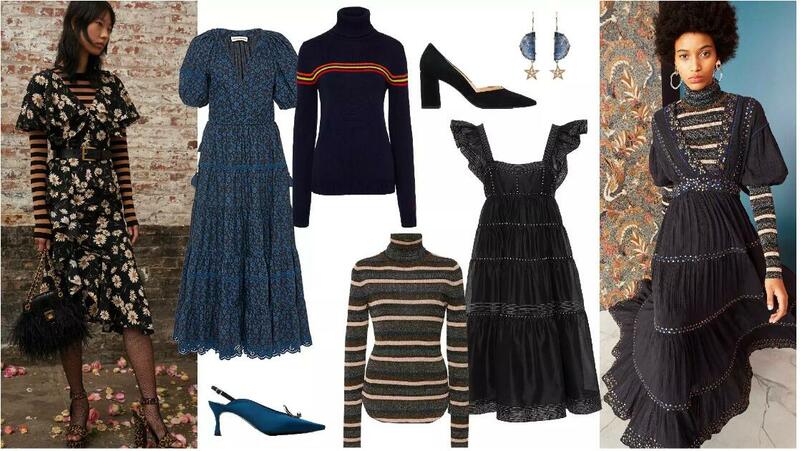 A bohemian dress is styled over a striped sweater for a chic look. 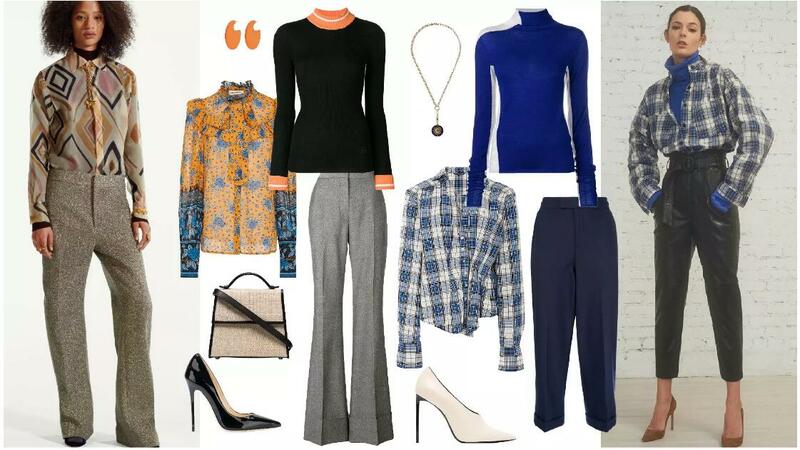 A fitted base layer plays contrast with a flowing dress, feeling warm and elegant in cool autumn. Overalls continue to prevail in pre-fall 2020. The placket is unfastened to expose the sweater. 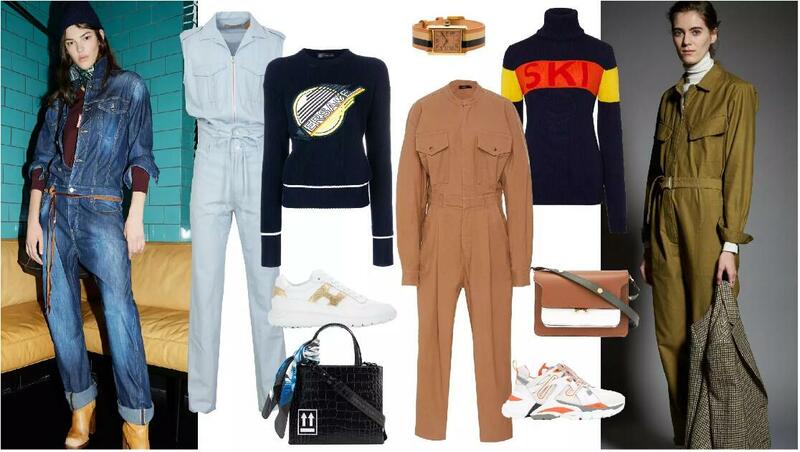 Knitwear features front patterns, and softens masculine overalls. It is common to wear a sweater underneath the suit. 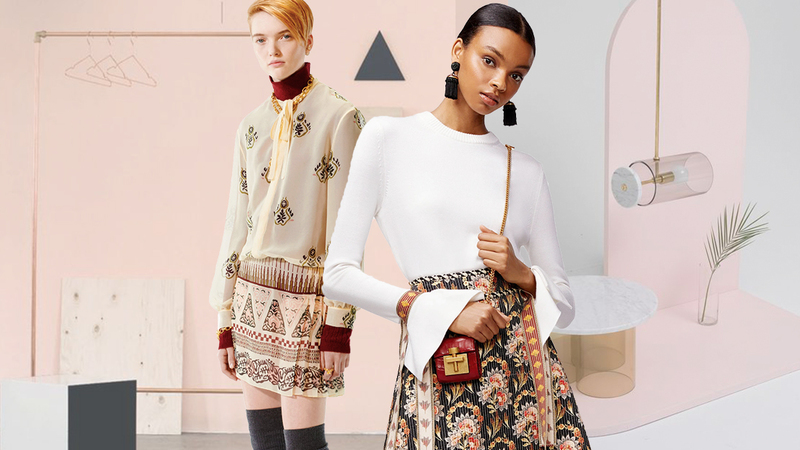 In pre-fall 2020, three-layer looks are chic. 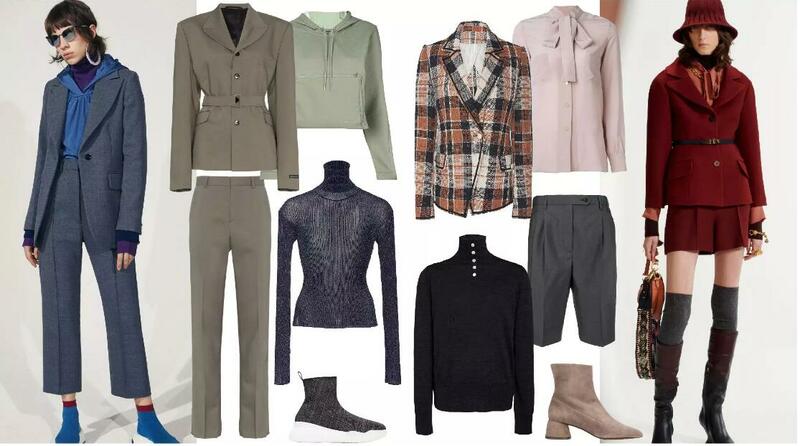 A sweater teams with a light sweatshirt or soft shirt and a suit. Opt for appropriate colors to keep balance. Base sweaters with delicate neck details are noticeable. 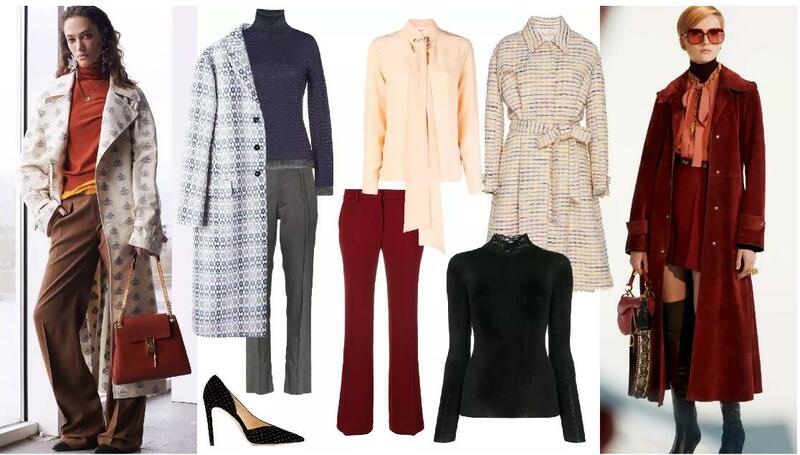 They blend with overcoats in clashing or tonal colors. Shirts can also be worn to add depth and warmth. 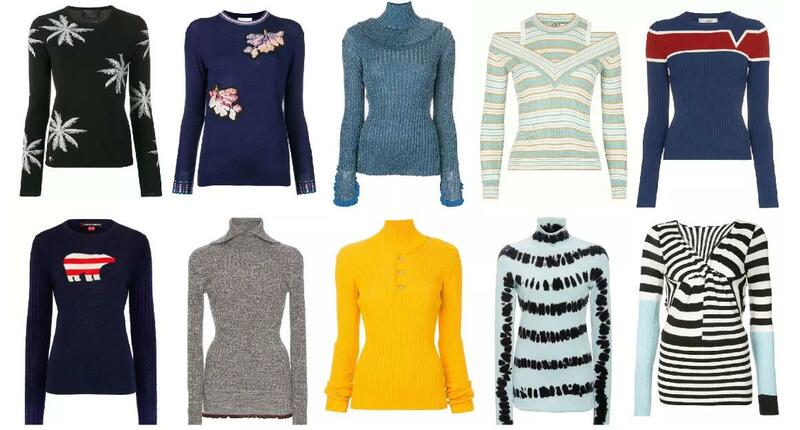 The sweaters stand out with jacquards, embroidered cuffs, high neck or varied stripes, emphasizing elegance and utility.